Standard PLC relay outputs will usually have a specification around 0.5 amps of current at 220 Volts AC. If we need to switch a solenoid that requires 1.2 amps of current at 220 Volts AC, we need a relay that will be able to handle that current and voltage. Our PLC will drive that (interposing) relay coil and the contacts will then drive the solenoid. If something goes wrong with the solenoid and it draws too many amps. The interposing relay will fail and the PLC outputs will be protected. 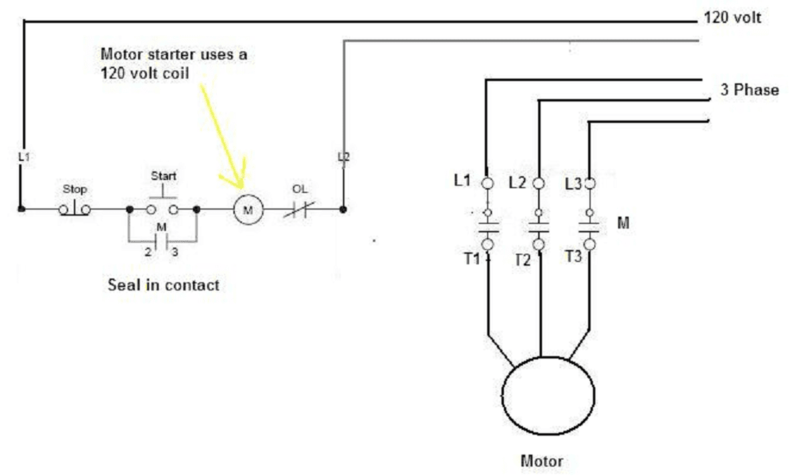 A typical example of an interposing relay would be for a motor starter circuit. You will notice that the motor starter coil uses a 120VAC coil. This will then turn on the 3 phase motor contacts for the motor. If we have an AC sensor that needs to signal a 24V input of the PLC we will need to use an interposing relay. In this case the AC sensor will drive the coil of the relay. (Example 120VAC) The contacts will then be wired to the input though a 24V DC supply. Once again we have isolation to the PLC inputs if anything happens to the AC sensor. The interposing relay will be destroyed as opposed to the PLC. 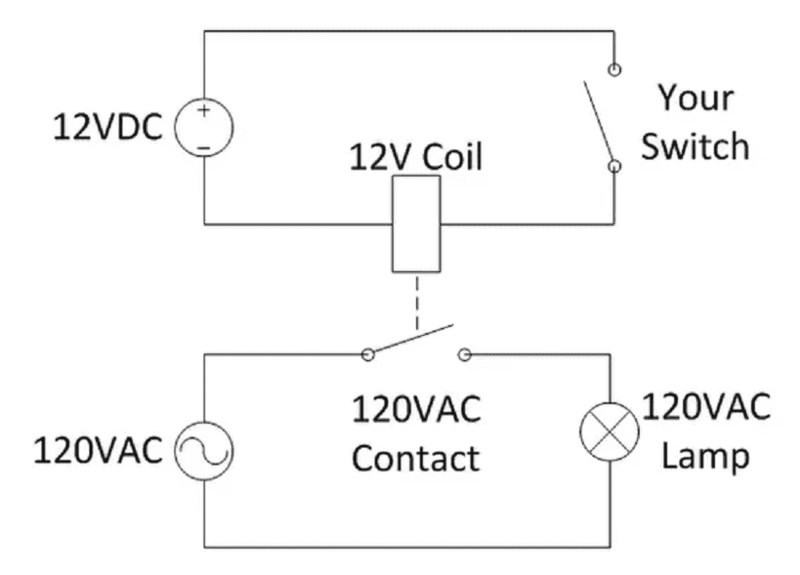 In the following diagram you will see that a 12VDC switch wired into the coil of the interposing relay will turn on a lamp. The lamp is 120VAC. 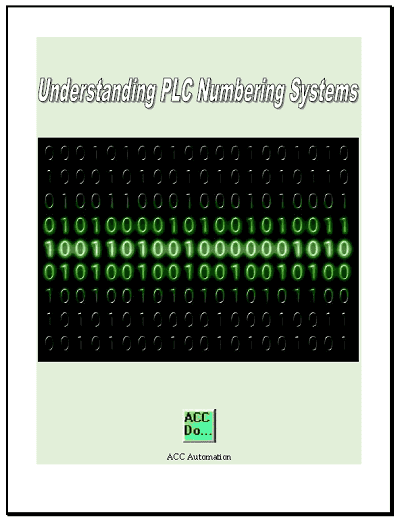 When wiring NPN and PNP sensors, we cannot mix them together with the same common input point of the PLC. 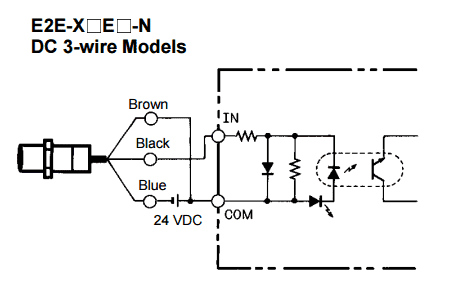 This is because in an NPN connection the common input point will be at 24VDC. The PNP connection will place the common input point at 0VDC. If we were to wire both of these to the same common we would create a short across our power supply. This could damage the power supply and the PLC inputs. An interposing relay can be used to keep the voltage references separate. 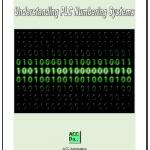 We will look at an example of using an interposing relay to wire a NPN and PNP sensor into the PLC. 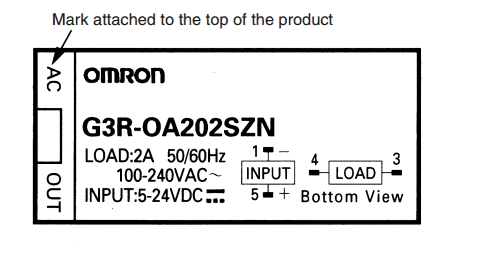 Here are the specifications for the Omron G3R solid state relay that we will use in our example. This will be the interposing relay for our circuit. The PNP sensor will be a Sick IM12-04BPS-ZWB proximity sensor. Here are the specification sheets. The NPN sensor will be an Omron E2E-X5E1. Here are the specification sheets. We first of all will wire the PNP sensor up to the first input of the PLC. The common point will now be at 0VDC for the all the inputs that share the same common. We will use the coil of our interposing relay as the load on our NPN sensor. When the sensor switches it will now energize the coil and in turn switches our contacts. The contacts will then be wired from the 24VDC side to the next input of the PLC.